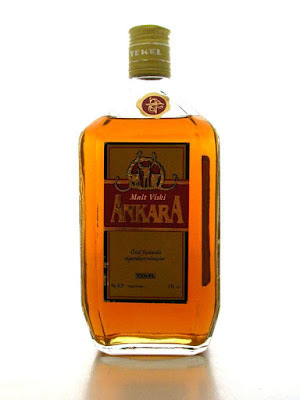 Two years ago when I read online that Mey Icki announced to withdraw the only Turkish whisky in the market "Ankara" from circulation and stop it's production I felt extremely sad... It was an end of an era. Mey Icki is one of the new alcohol industry giants in Turkey and purchased the spirit department of government owned Tekel after it's privatization in 2004. Tekel which means literally monopoly in Turkish has been founded in 1925 right after the declaration of Turkish Republic as a result of the new nationalist economic movement taking alcohol, tobacco and gunpowder under state monopoly. The government was nationalizing almost everything to be able to gain the control of the natural resources of the country back from foreign companies, to pay huge foreign debts after decades of devastating wars and to start their own late industrial revolution. Import was not allowed for a long time to protect the new government owned and private companies from severe competition. Tekel stayed as the only alcohol producer in the country for a long time. 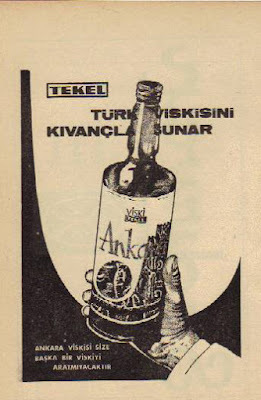 So in years they came up with a massive line-up of alcoholic drinks to be able to answer all the different demands including their own whisky "Ankara" which they named after the new capital of Turkey. In late 1970's I remember seeing occasionally a bottle of VAT 69, Johnnie Walker Red Label or Black & White at home brought by my father's colleagues secretly as a present from Europe but besides that Ankara was the only whisky I could purchase legally in the country and actually afford by myself in my early twenties and college years. It was dirt cheap... To be honest I always loved whisky but my obsessive interest is relatively new. For only a little more than two years I learn, taste, read, collect and write about it. Now when I think about Ankara I deeply regret that I didn't save a few bottles before it disappeared from the surface of the earth. I tried really hard last two years to find a bottle when I visited Turkey several times but I couldn't. In a strange way there is also very limited documentation about the production of Ankara. It was printed "Malt Whisky" on the label but we know now that it wasn't a single malt. It is believed that the whisky was distilled from a mix of malted and unmalted barley and rice. It was aged in new made, lightly charred oak casks between three and five years. 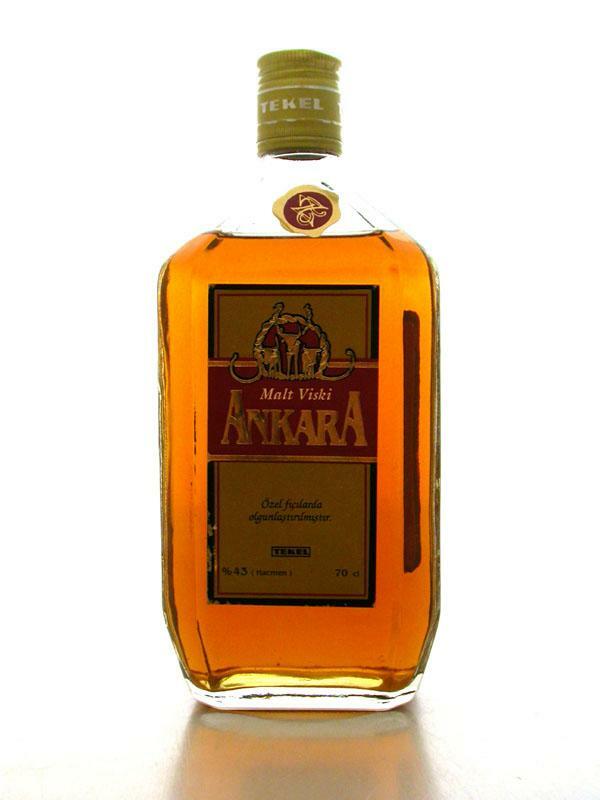 If I dig from my memory pretty hard and add on top what I read online from different whisky tasters I can combine some tasting notes to give you an idea about Ankara: Nose has sweet and dried fruits, raisins, dried plums. Very malty. Palate is a little harsh, young alcohol burns the tongue. Spiciness of unmalted barley is kind of nice, like Irish whiskey. Young and damp wood influence and hint of dried sweet apricots follow. Finish is pretty short and spicy. Overall it was one of the best price/value ratio whiskies I can think of. Very easy to drink... For me it was the whisky of my youth, brings back unforgettable years full with memories. For any other whisky enthusiast it was a steal and a fine collection item for around five bucks only. Whoa. This was a great read! The history of Tekel / Mey Icki / Ankara - or rather, the hardships and the end of its history - are saddening, but the twist at the end is heartening. Wouldn't it be all the more heartening, if Virginia Distillery came up with an Ankara line that came from these stills? Don't give up the search for a bottle of Ankara. A bottle so massed produced for so many years is bound to be still kicking around somewhere.